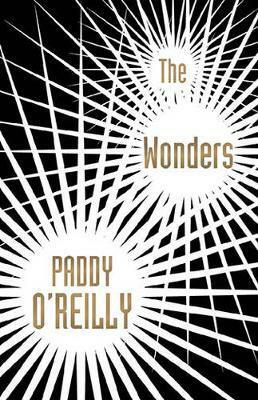 Paddy O’Reilly’s new novel, The Wonders, is populated with misfits of all kinds. Here, she talks on other misfits and monsters she’s loved in books. We learn early what it is to be a misfit. The first week at school the misfit will be spotted, singled out, made to understand she doesn’t belong. She’ll be left standing in a distant corner of the playground, looking at her hands or scanning the sky, trying to pretend it’s okay. At the next school it might be the boy who wears the wrong clothes, or the girl who knows all the answers in class, or the kid who blushes and stutters at the slightest attention. In the workplace, at the club, in the team, the misfit sits alone. And of course there’s always been the odd one out of the family. Some of the misfits learn what they have to do to fit in. Some never do. Some never want to. Anyone who has never felt like a misfit is a rare person indeed. I think of the misfits of fiction. I love them all, despite their failings or sometimes because of them. No matter whether they are clumsy or violent, vain or timid, overeager or foul-tempered, they are as filled with yearning as the rest of us but less likely to find peace or their proper place in the world. Emma Bovary is a self-absorbed shallow materialist but I still want to read her. Flannery O’Connor’s protagonists are often despicable yet she compels me to want to know them. Humbert Humbert – appalling and fascinating. I don’t necessarily like these characters, but I am grateful to be able to read them with all their flaws. And then there are the saddest misfits of literature – the monsters. I’m talking about the monsters who are uncomfortably similar to the people they live among: Grendel, Gregor Samsa, Frankenstein’s monster. Poor Gregor scuttling to hide under the couch and feeling strangely at ease under there. The monsters are our doubles, the doppelgängers who manifest the desperate loneliness and despair, or the rage and unrestrained violence, that we ‘normal’ people are forbidden to express but that lurk in our shadow selves. They are ugly and malformed because if they looked exactly like us, how would we know they were not us? The misfits in The Wonders have been transformed from monsters into celebrities. They escape the spotlight of shame, at least for a time, because they are beautiful and because they have been adopted by an entrepreneur who knows how market freakish as wonderful. Imagine Dr Frankenstein’s stitched-together monster born into the world today. Would he be sitting on the examination table in Embarrassing Bodies, asking how to get rid of his disfiguring scars? The Wonders is available now, in-store and online.